The 35th Annual Mathematics Competition for grades 7, 8 and 9 will take place at the University of New Brunswick this Friday, May 12, 2017. About 1,200 New Brunswick students will travel to the Fredericton and Saint John campuses of University of New Brunswick as well as the Moncton, Edmundston and Shippagan campuses of l’Université de Moncton to write a multiple-choice competition. The competition can be written in either English or French and will take place in the late morning. District and provincial winners will be announced in the afternoon. The awards presentation for UNB Fredericton will take place at 3:30 p.m. in the MacLaggan Hall Auditorium (ML 105). On UNB Saint John campus the ceremony will be held at 3:10 p.m. in the Ganong Hall Lecture Theatre. Throughout the day, faculty presentations, demonstrations and tours will take place for competing students. Friday also marks the start of the 17th annual UNB-Canadian Math Society Math Camp, a three-day mathematics enrichment camp for New Brunswick high school students grade 10 and 11, in Fredericton. 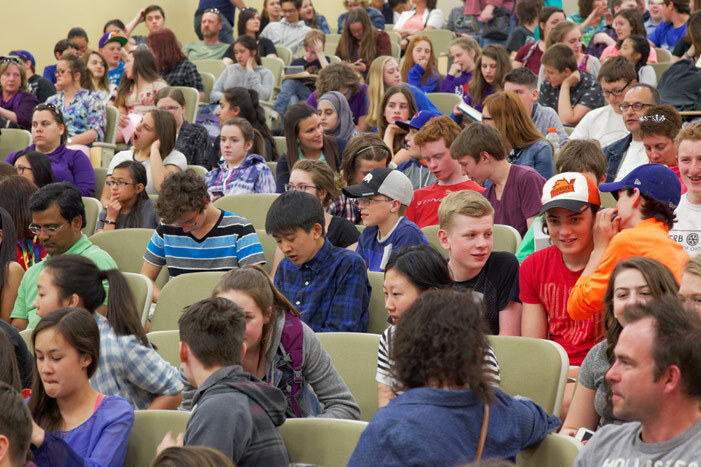 Invitations to the UNB-Canadian Math Society Math Camp are awarded to students on the basis of their success in the New Brunswick Mathematics Competition for grade 9 or the Canadian Open Mathematics Challenge. Participants will stay in UNB residences, work on challenging problems, attend various lectures and share social times together.